Following the positive endorsement by the Executive Committee of the proposed procedures for future voting, the procedures will be instituted for the next Congress and General Assembly. “All considerations made, we concluded that the best choice [for a Congress] was Argentina, a country with a long history of semiotic research, with wonderful graduate programs (masters and even a doctorate program), where they have publications with a great impact in the field, etc. It is important to remember that the Argentinean Semiotic Association (AAS) was promoted by the late Eliseo Verón in 1973, the oldest in Latin America. He also was the first General Secretary of the IASS when Umberto Eco was its president. From Argentina was also José Luis Prieto, who held Saussure’s chair in Geneva. Dr. José Luis Fernández, president of the Argentinean Semiotic Association, has accepted this challenge, and all the members present at the meeting and the board of the Latin American Federation have offer all their support to the Argentinean organizers. Regarding the date of the organization we have agreed that the best time would be 2019”. So, there is general agreement to hold a Congress in Argentina in 2019 and the Bureau has now endorsed this decision subject to receipt of a viable proposal in the interim. However, this decision also meant that there was a vacancy for the next Congress in 2017. Following an open call from 7 April to 1 June for proposals to stage the next Congress, we received just one credible proposal. Happily, this was also a very good proposal (see attached). The 2017 Congress of the IASS will therefore take place in Kaunas, Lithuania. a) Proceedings: KB and PC are currently negotiating some of the formatting issues for potential publication with de Gruyter. The current proposal is for an Open Access bi-annual yearbook published in Berlin, which seems best for our members; but we are still negotiating over costs. b) Masters of Semiotics series book – the proposal for this volume has now gone to de Gruyter as part of consolidating IASS activities with this particular publisher. Result: The result, therefore, is that the Association WILL NOT introduce honorary vice-president posts. Result: The result, therefore, is that the Association WILL maintain its tradition of appointing honorary presidents from past members of the Bureau AND will set up a system for nominating and voting for candidates for the post of ‘Honorary President’ among individuals who have not served on the Bureau of the IASS. This now means that the Bureau is tasked with devising a process by which members who have not served on the Bureau can become candidates for such posts. KB and PC are currently drafting such a process to be ratified by the Bureau. We are currently preparing a page on the website to contain the global bulletin which will include reports and news from every registered national association and collective membership. We shall expect that the activities of those organizations are updated on a regular base. In the event that relevant members/groups/organizations do not evince any activity for one year, they will be contacted by their regional vice-president. If no reports ensue following this contact, those organizations will be removed from the bulletin and the membership list. This also means that, in the future, national reporting will not feature on the agenda of the General Assembly. Members will simply be re-directed to the website. The website has been overhauled and updated. It has been relocated to the host of the Semio2014 website based in Bulgaria. c) a bibliographic wiki, hosted in collaboration with de Gruyter, linked to Orcid, and moderated by DT. – The number of the respondents, distributed by the regions, demonstrates that the two parts of Europe are equally represented and exceed the other major geographical zones. Africa and Australia are weakly represented as a whole in the survey. – Respondents who have attended from one to three of the previous IASS/AIS Congresses make up the largest share. They outnumber significantly the total respondents who attended two Congresses. Still, there is significant loyalty among the 15% who have attended 4-6 Congresses. – Conferences/events seem to be the object of major interest for the (local/regional) semiotic community, as well as opportunities for contacting colleagues for various reasons. The third largest share concerns access to the information about job opportunities and potential research project participation. – Most of the respondents expect the Association to be an active information provider on all of the issues listed in the survey. 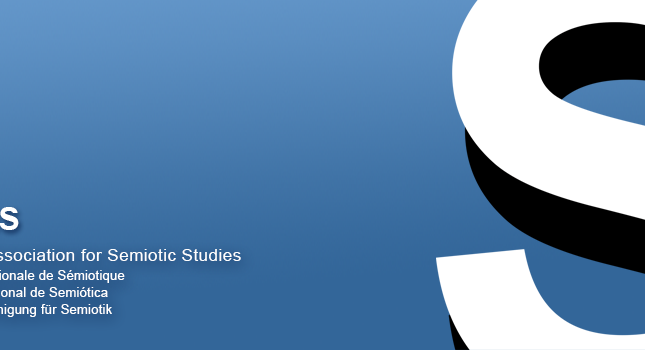 – There is high demand for information about existing courses in semiotics round the world to be made available on the IASS/AIS website. – Almost 77% of the respondents prefer to have the Congress Proceedings in electronic form. – Next Congress location: the highest preferences being for Brazil (12%), followed by Argentina (8%) and USA (7%), and then by European countries like Italy (7%) and France/UK (5%). – Most of the respondents would accept the lowest Congress registration fee (offered in the survey) for their participation, i.e. an amount between 150-200 Euros. However, 13% suggested an even lower fee and 24% are willing to pay 200+ Euros to attend. – Preferred format for plenary lectures: close, but the Masters format is slightly more preferred. – full access, once it is published, to the Proceedings of the Sofia Congress, activated through a collaboration between the IASS website and the de Gruyter platform. – access to selections from all de Gruyter online content – including Semiotica – by way of tokens/passwords issued on renewal of IASS membership or joining for the first time. Each de Gruyter access token has a monetary value of €30. The Ecuadorean Semiotic Society was founded on the weekend of 28/29 March 2015 with a meeting among 58 professors. KB and PC have sent congratulations to the Society’s President, Prof. Nelson Reinoso. The Society will now be listed in the EC directory before acceptance is officially voted during the next Congress. robespierre · giovedÃ¬, 6 dicembre 2012, 1:35 pmPerchÃ© &#t2o0;r28tura con la destra”? Direi piuttosto rottura con Berlusconi, ma Berlusconi non Ã¨ la destra come quanlcuno subdolamente vuol far credere.